For those subscribed to my blog, you might be receiving some more frequent activity notifications in the coming few days. I’m doing some digital housekeeping and will be archiving old pieces, updating the page and adding more media. I hope to give this blog a sleeker and more professional look as I aim to start keeping this site as a portfolio of my written work (eventually). Stay tuned–lots of fun changes coming! We left Seoul around 10 pm on New Year’s Eve, our flight’s pilot led the plane in counting down to midnight, and arrived in Guam at an absolutely unholy hour of the morning. 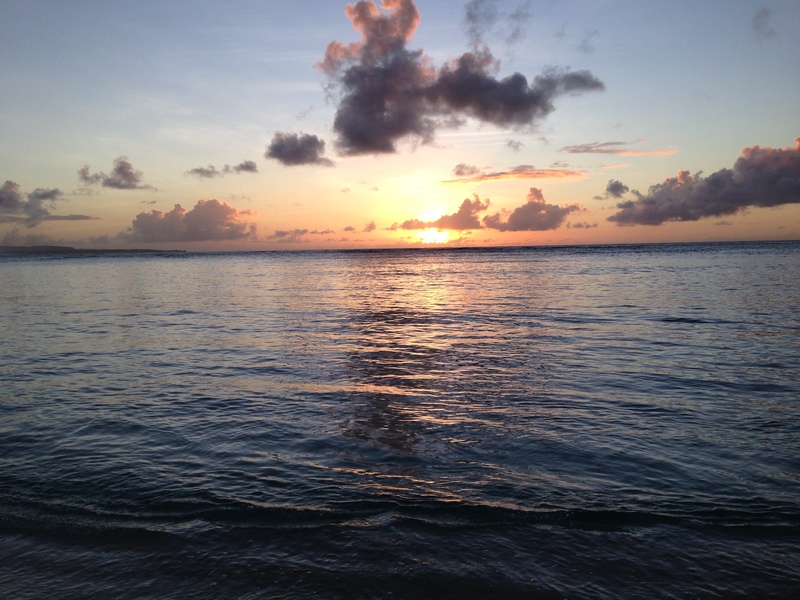 After a layover of a few hours, we arrived in Saipan around 8 am on New Year’s Day. Though the time difference was insignificant, we were exhausted as we muddled through the day until we could check into our hotel (even taking a short nap on the side of a road in our rental car). 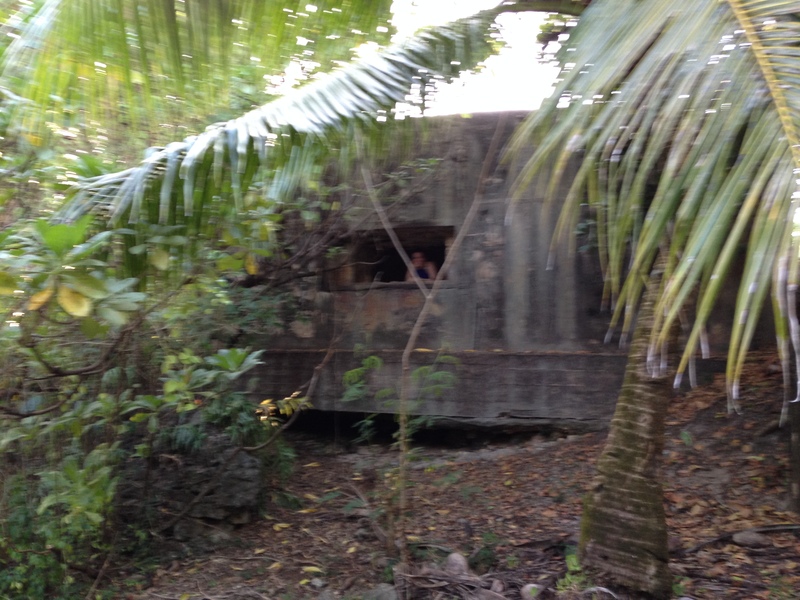 Our first stops included the Last Command Post and Bonzai Cliff, which were significant during the Battle of Saipan. The latter of which was a suicide point for thousands of Japanese soldiers and civilians living on the island when it became apparent that they were not going to be victorious during battle. 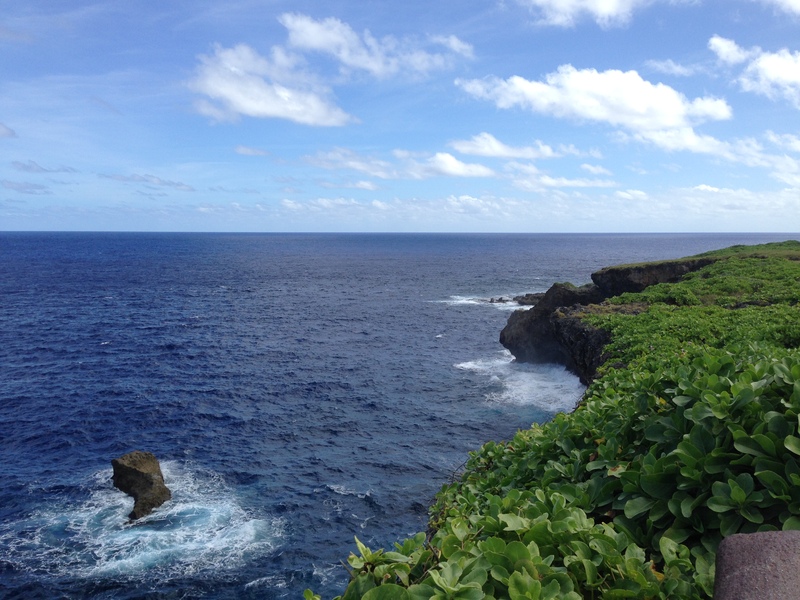 Bonzai Cliff is a staggeringly beautiful location, which made it rather hard to reconcile the sadness of the events that had taken place. Seeing it, you almost can’t believe something so terrible could happen when in reality, tens of thousands of men and women died there. We made a point to stop and take in as many memorials as we could find, visit peace parks and see the tributes and monuments put up to commemorate those who served. 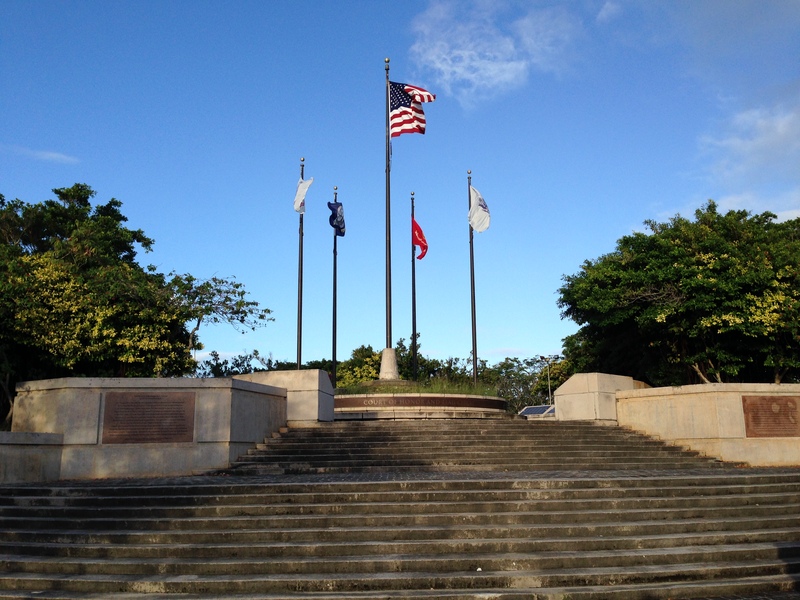 Memorials to both Japanese and American soldiers, as well as ones for the Chamorro and Carolinian peoples, whose populations are indigenous to the NMI. During our stay we were able to get out to The Grotto, a cave accessible to the ocean where we participated in a guided snorkeling tour. 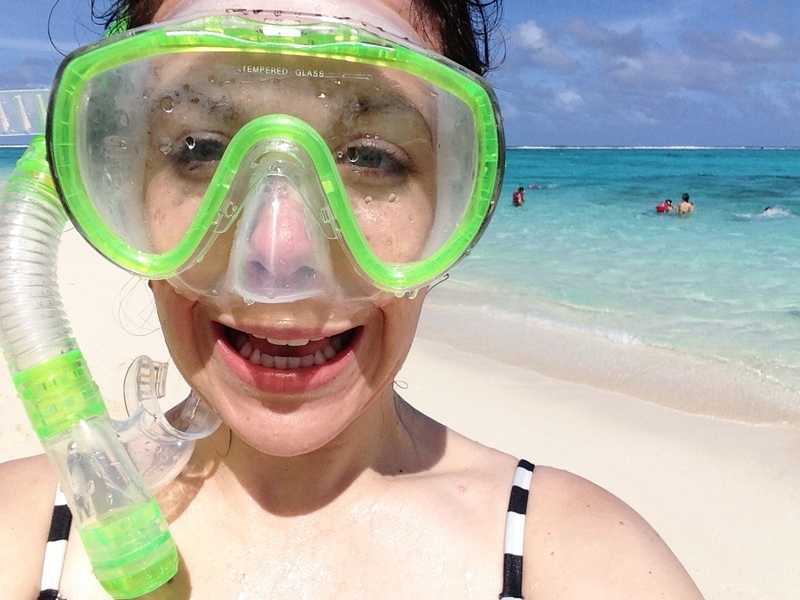 We ultimately did a fair amount of snorkeling and saw so many fish during the three days we did so. Our other adventures included parasailing (eek! so fun! 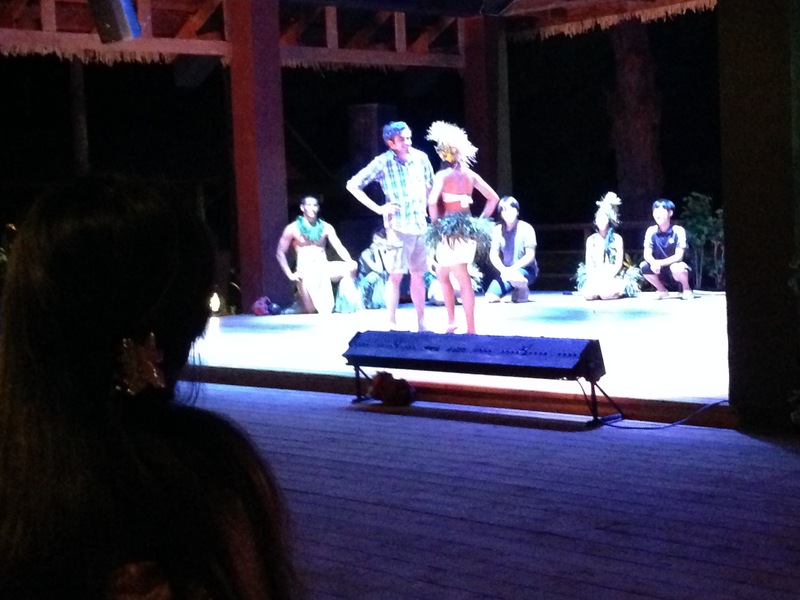 ), ocean kayaking, and a Polynesian dance show. 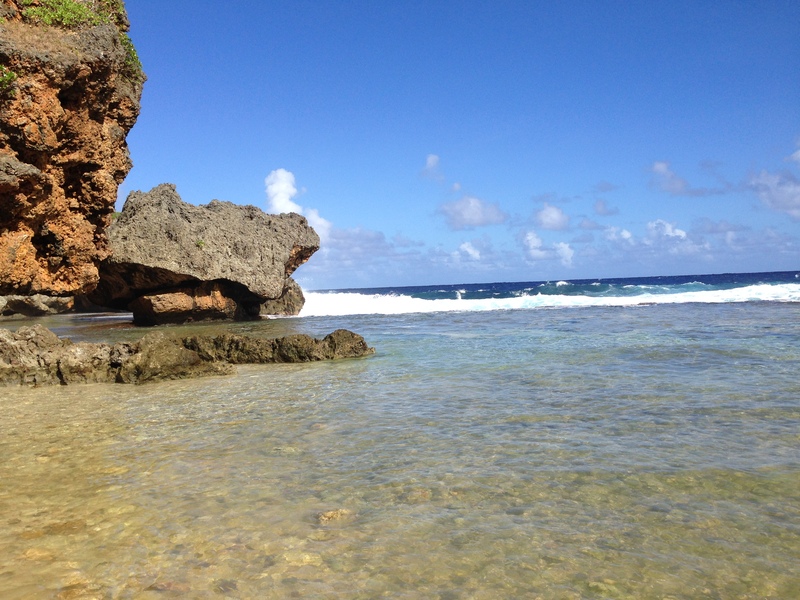 If you ever get out to Saipan, I definitely recommend making a point to go to Managaha, an itty-bitty islet in the Saipan lagoon where you can walk the perimeter in about 20 minutes and see some incredible fish and machinery. 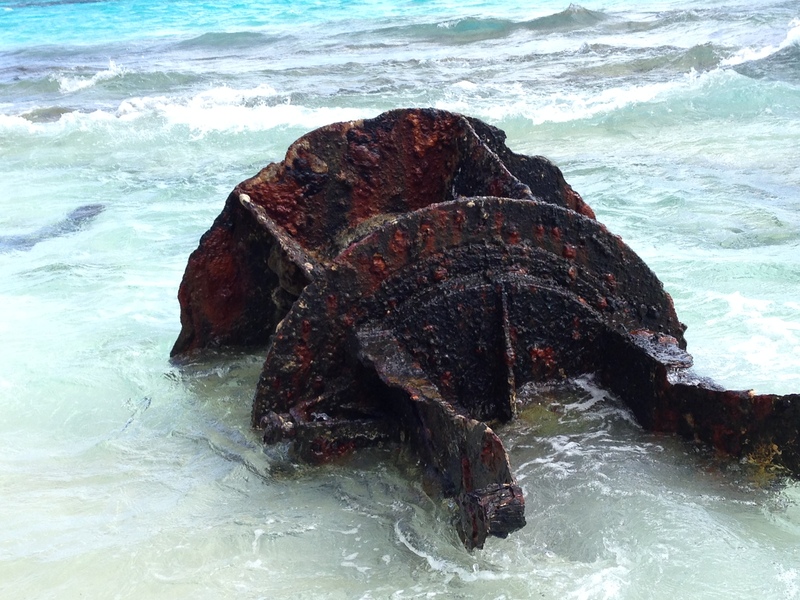 One of the most interesting things about Saipan is how much of the machinery is still left around the island or in the water on the beaches, rusting away as the ocean waves lap at it. Tanks stuck in the sand off shore, artillery, a tank with a tree growing through it–ghosts of the once shiny and impressive fleets that did battle on the island and a strong reminder of the location’s importance. Some photos below, but you can see the full album on Facebook. I can only hope these pictures do justice for how beautiful of a location it is–and I’m really glad we could take a trip where we could absorb some history as well. 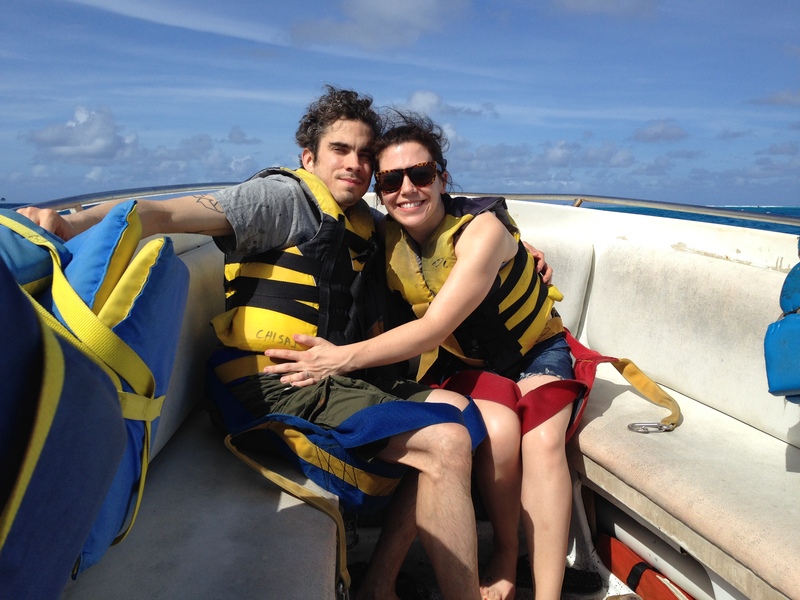 Sadly, I only have an ‘after’ photo from our parasailing excursion, but what fun! Old machinery, still stuck in the water. You can wade or swim out to it for a better look. Jerry was called up to participate in a Polynesian dance show. 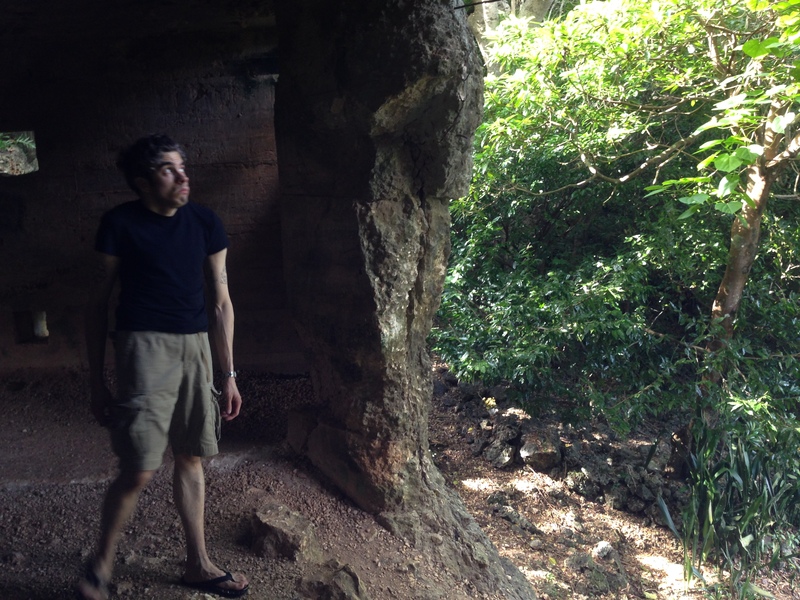 Old Man by the Sea is a rock formation on the island–a short hike down a hidden path will get you to the secluded beach area where you can see it.